Check-In shoud happen before 7:00pm, Check-Out until 10.30am. Should you arrive outside of this timeframe, inform us well ahead of time via phone. Please note, that you get keys for both houses at the central reception desk (Hauptstraße 14-16, Office “Hauser-Immobilien / Hausers Gästehäuser”). Payment is possible with all major credit cards, Maestro-card, payment via invoice (for payments by corporations – with respective confirmation of cost-take-over) and cash. Payment in the evening before departure is possible. 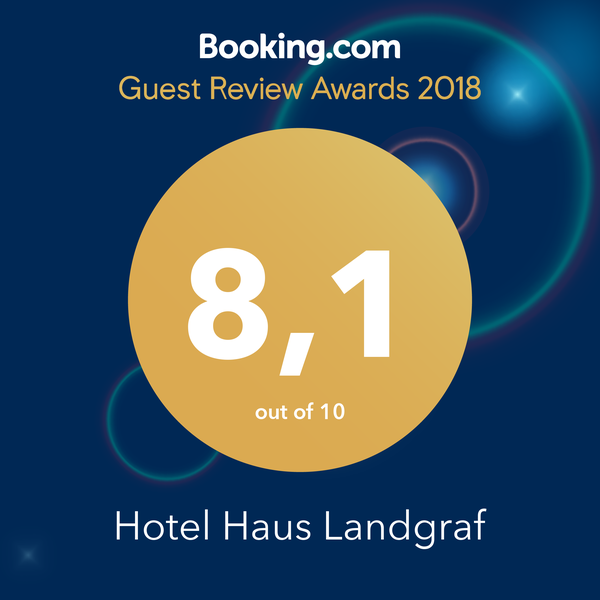 Hausers Guesthouses are located on Hotel-Route “Zentrum” in Walldorf. From the city entrance follow the directions on the sign below. From the exit Walldorf west or east of A 5 enter onto B 39 towards Wiesloch / Sinsheim. At the crossing B 39/B 291/L 598 head straight towards Wiesloch/Sinsheim/Walldorf-Zentrum until exit Walldorf-Zentrum, turn left, die Hotelroute-signs follow shortly. 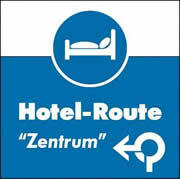 On B 39 until Walldorf-Zentrum, turn right, Hotelroute-signs will follow shortly. Walldorf liegt verkehrsgünstig zwischen der A5 und der A6. Eine genaue Routenplanung finden Sie hier. Mannheim Main Station is the major hub for international ICE-trains. There are frequent connecting trains from here to regional train station Walldorf/Wiesloch by regional trains/”S-Bahn”. Two major Airports Frankfurt and Stuttgart are located about 100 km away from Walldorf. Mannheim Airport or Baden-Airpark (close to Karlsruhe) might be a good alternative.